When it comes to economy vehicles, the options available on the market can be somewhat overwhelming. That’s why car shoppers consistently turn to models like the 2019 Nissan Versa for familiar levels of power, comfort, and space. However, there’s economy — and then there’s the Fit. Honda Fit competitors, such as the Versa and even the Toyota Yaris, simply can’t duplicate its dynamic performance, spacious cabin, and impressive feature set. If you’re shopping for a new vehicle near Waikoloa or Pahoa, compare the Honda Fit vs. Nissan Versa below! Practicality is the goal of the 2019 Nissan Versa. Under the hood, you’ll find a 109-hp 1.6L 4-cylinder engine and a standard 5-speed manual transmission. This combination earns the 2019 Versa a 27 mpg city/36 mpg highway rating. In comparison, the 2019 Honda Fit is equally practical but gives you more power for your dollar. It’s motivated by a peppy 128- to 130-hp 1.5L 4-cylinder engine and a 6-speed manual or an available Continuously Variable Transmission (CVT). Not to mention, the new Fit was designed for fuel-friendly city travel — and it shows. With its base powertrain, the 2019 Honda Fit earns an EPA-estimated 33 mpg city/40 mpg highway* rating. Reliable Exterior Lighting: Unlike the Nissan, the Fit comes standard with fully automatic halogen headlights, as well as Daytime Running Lights and LED brake lights. Ample Cargo Volume: If you opt for the Versa Sedan, you’ll have a maximum cargo volume of 14.9 cubic feet at your disposal. The Fit 5-Door model’s interior cargo area, however, measures up to 52.7 cubic feet. Available Driver Assists: You can purchase Honda Sensing®, starting with the entry-level Fit LX. This package includes a suite of safety systems not available for the Versa, including Lane Keeping Assist System, Adaptive Cruise Control, and more. 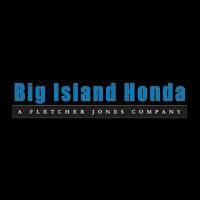 Find Your Fit at Big Island Honda in Hilo & Kona! After comparing the Honda Fit vs. Nissan Versa, it’s clear that although the 2019 Nissan Versa is more affordable at the base level, it lacks the 2019 Honda Fit 5-Door model’s energy, fuel-efficiency, and enticing feature set. If you’re a resident of Hilo or Kailua-Kona, we encourage you to stop by one of our two locations to experience the new Honda Fit first-hand and see why it was on Autotrader’s list of “10 Best Cars for Dog Lovers”! Contact us to schedule a test drive, learn more about whether the Nissan Versa vs. Fit is a better choice for you, and get more information on other Nissan vs. Honda vehicles!